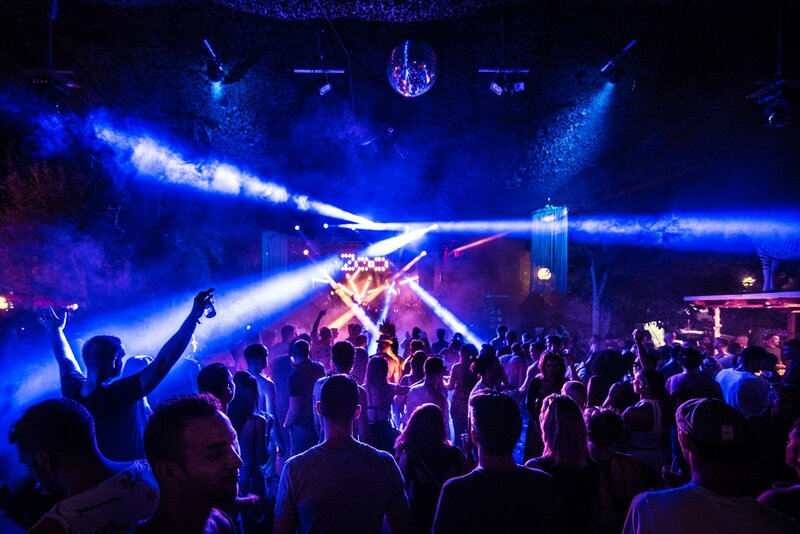 Here are five banging tunes from The Zoo Project's wildly tribal opening fiesta. It's only the first weekend in May, but already the island is emerging from hibernation. As droves of early-bird tourists and industry folk gathered, fresh-faced and eager to get involved, it became clear that the tempo has clearly shifted. Of course, we also flocked with the rest of the island to Benimussa Park for The Zoo Project opening party, the place to be on Sundays. Entering the former zoo, we gazed opened-eyed at the hippie stalls and lush greenery. It was as if we had never been away. Right as we arrived, the back to back French DJ stylings of Stephane Ghenacia and Thomas Roland provided the ultimate aural treat. As the sun went down behind the Treehouse and day turned to night, we released our inner animal in the primal ritual of dance, the first of many this season. The stars had filled the night sky when Visionquest's Laura Jones and Shaun Reeves led us on a tribal journey. It was an intrepid early season forage into the wilderness, setting up the season nicely. Here are five tracks that shook our souls and had us howling at the moon. The summer sun glowed down on the Treehouse as Benimussa Park filled up in the late afternoon. Oozing old-school deep vibes, Daylight was the perfect warm-up track to get the crowds moving. The French electronic vibe was certainly in the air that evening as Second Way by Zendid was mixed in by Stephane Ghenacia. A razor-sharp blend of groove led house was a total winner amongst the wild clubbers of The Zoo Project. The acidic sounds of Phil Weeks pounded through the speakers in the form of Music & Creativity² next. The echoing vocal samples combined with pounding kicks made it rough and ready club stomper, perfect for raising the level of the party. Subb-An's reworking of an old MAW favourite, with its filthy bassline and infectious vocal, got the clubbers dancing feet moving. One from island figurehead Clara Da Costa's label. With its chugging tribal percussion, we couldn't imagine a more fitting environment to hear this. Its stripped-back groove is just sheer bliss. Once again this year, The Zoo Project opening signals the onset of the summer season. From now until 7 October, every Sunday you can experience top underground sounds in the wild wonderland that is Benimussa park. It's time again to apply animal print paint and groove until the sun goes down. Make sure you to bring your wild side at The Zoo Project. It's all you need.